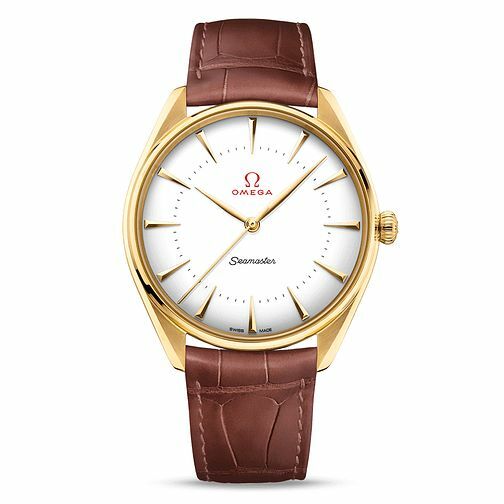 Swiss luxury watch makers Omega commemorated the 2018 winter Olympics with this beautiful time piece. Omega Seamaster’s have an upstanding reputation for quality, and this model is no exception to that rule. The Seamaster boasts style and functionality, perfect for the adventurous and sartorial man alike. A pure white dial is beautifully encapsulated within an 18ct yellow gold case, with co-ordinating sleek hour indices and three slimline hands. A classic brown leather strap makes this a necessity in the collection for any modern gentleman.